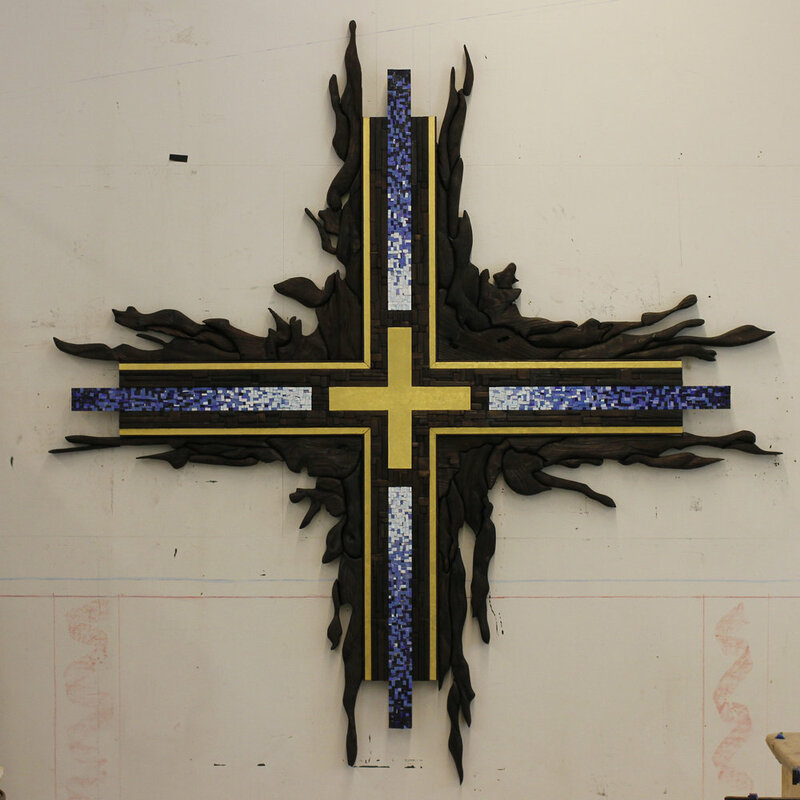 This cross, created for Prince of Peace Lutheran church in Springfield, Virginia, utilizes a Greek cross, (four equal sides) to symbolize Christ’s victory and the growth of his Church. 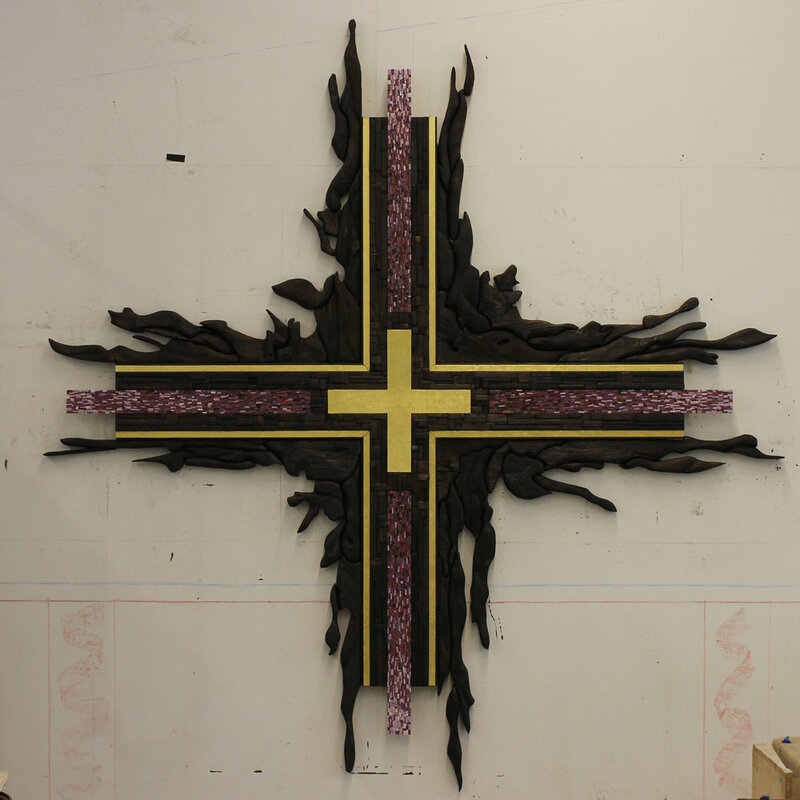 In the rugged burnt wood textures are represented the suffering and death of Christ on the cross. The exterior of the cross consists of burnt wood pieces that appear to be breaking off from the central structure, these more dramatic shapes surrounding the cross are emblematic of the sin, suffering and death experienced by Christ, shattered in his resurrection and triumph over death. The gold at center reminds viewers of Christ’s ascension to glory and his coming again. Radiating from the center of the cross are four tesserae mosaic panels. These panels are interchangeable based on the current seasonal needs of the church. For this specific cross the CLA created five distinct settings; green, blue, purple, white, and red to correspond with the seasons and holidays of the liturgical calendar.